At an RFU hearing in Tewkesbury last night it was ruled that Bromsgrove will be level transferred to the South West. 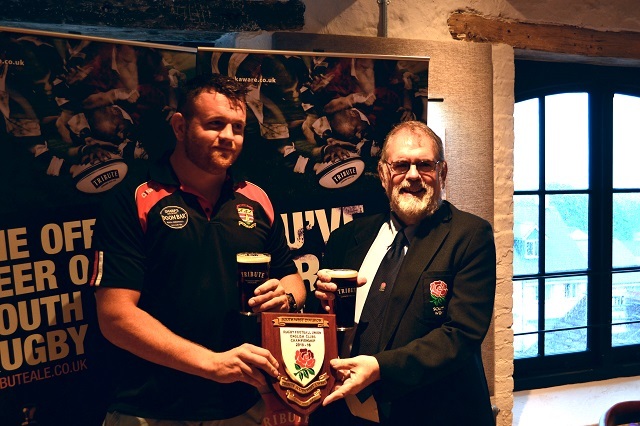 They will play in National 3 South West and the provisional fixture list issued last month is now confirmed. Work is continuing on next year's fixtures but there has been a delay. 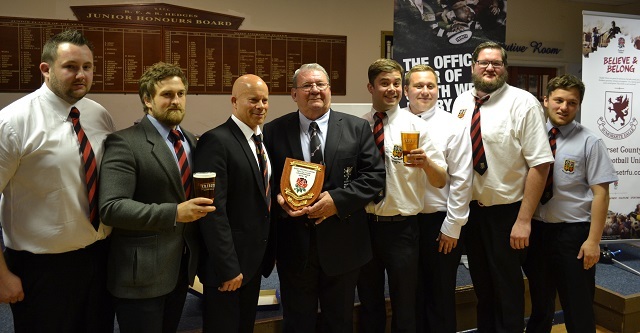 Bromsgrove RFC have appealed the decision to level transfer them from the Midlands to National Division 3 South West. The case is due to be heard in the coming week. With their place in the South West's top league uncertain, it could require adjustments throughout the league structure. Depending on the decision it is still hoped to have the fixtures issued by the end of the month, however in any event the EARLIEST they will be released will be Saturday 28th May. 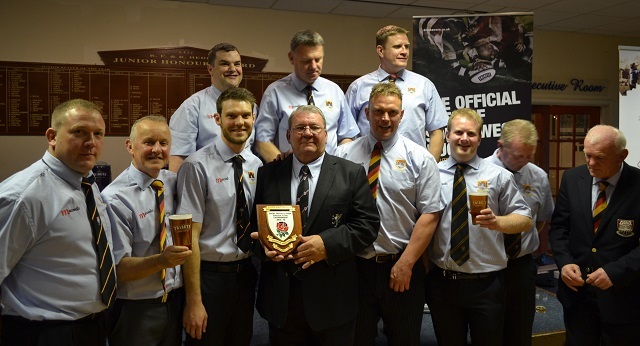 Three Cornish clubs were guaranteed to be winners this season but with success in two cross-border leagues five teams collected championship plaques at the county's presentation evening at the St Austell Brewery on Friday 20th May. 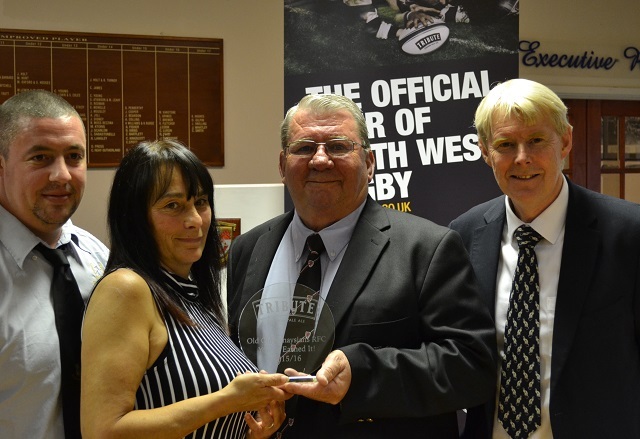 The event marked the ninth year of sponsorship by Tribute, who have backed the SW leagues throughout not only Cornwall, but also Devon and Somerset. 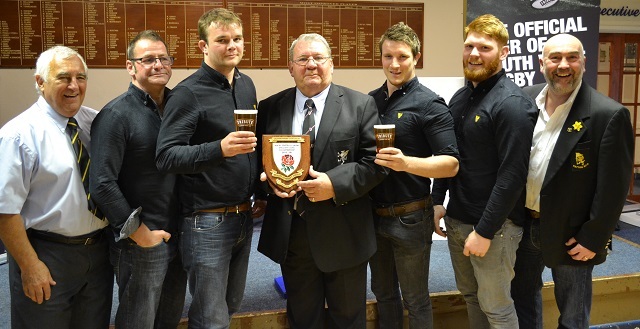 Clubs with teams in the Tribute Leagues will be receiving letters shortly outlining details of their share of the sponsorship money provided by sponsors St Austell Brewery. The company, which now produces over 100,000 barrels of beer a year, has backed all the leagues west of a line between Bristol and Axminster for nearly a decade. 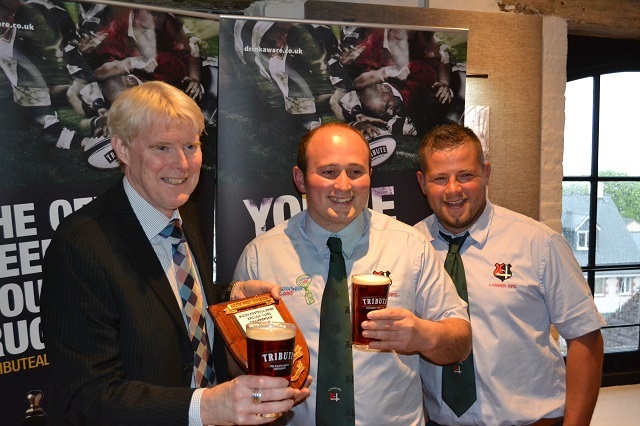 As part of the deal clubs have also received over the years pitch equipment, promotional items and, of course, beer. 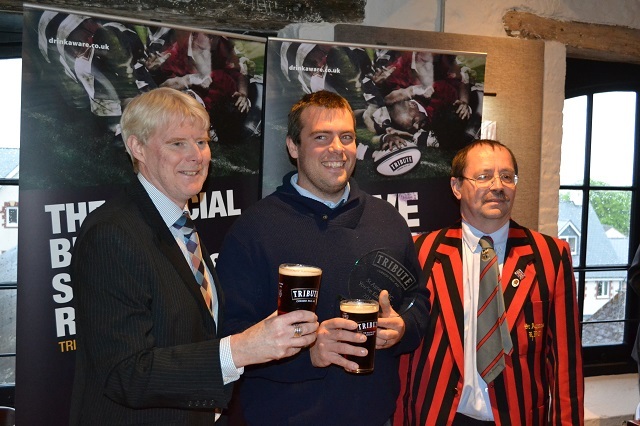 Money also goes to the Cornwall, Devon and Somerset RFU to encourage grassroots rugby. Work is continuing to produce the fixtures for next season and it is anticipated they will be published by the end of the month. The make up of each league is now finalised (subject to any appeals concerning level transfers). The leagues at levels 5-7 are constructed using the level transfer regulations – where clubs are moved between leagues, and in some cases, divisions based on the mileage involved travelling between teams in any one league. This avoids the uncertainty over the number of teams relegated at each level and removes the so-called cascade effect. At level eight and below the leagues follow the usual rules of promotion and relegation in the main, although in the county leagues there are some variations to cater for the needs of 2nd, 3rd and 4th teams. This structure is presented for information only. It is not open to negotiation. Any enquiries should initially be directed to the League Co-ordinating Secretary, Mike Gee but may then be forwarded to those responsible for the leagues in a given area. Please click here to download the structure as a .pdf file. 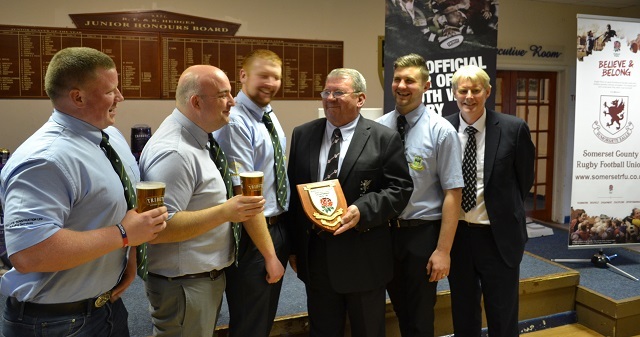 Clubs from across the area were at Weston-super-Mare Rugby Club on Friday 13th May for the annual Somerset end of season presentation evening sponsored by Tribute. 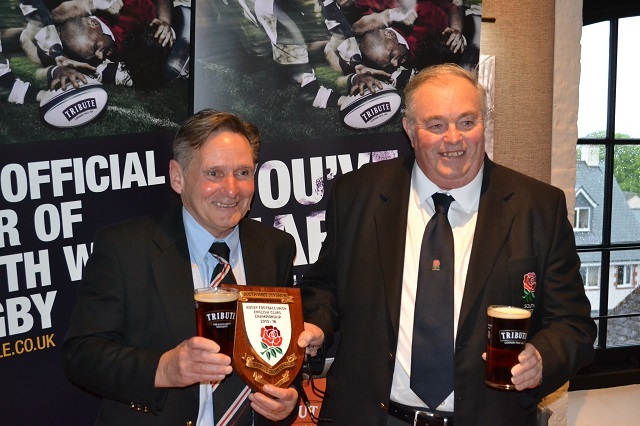 There was also a special "You've earned it" award for Old Culverhaysians of Somerset Two North, who solidiered on throughout the season despite a variety of problems. Read more about Somerset Celebrates! With Kingsbridge beating Keynsham in the final playoff on the 7th May, the SW season is now finished. Work is starting on next season's fixtures and it is our intention they will be published by the end of May at the latest. Copies will be sent to the nominated league contact at each club and will be posted on this website. Currently we are working on the structure of each league. In some cases this involves level transfers, either within the SW or from outside. Once these have been finalised we can begin fixture production in earnest. In the meantime the new structured season for 2016-17 is available under Guidance. These are the default dates the SW will be using. 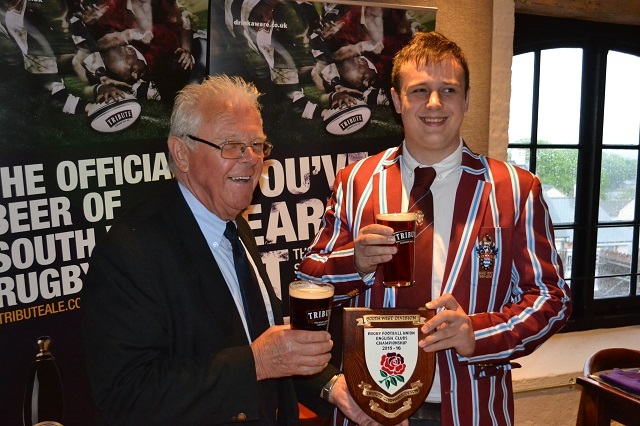 The organisers of the county leagues may vary the dates for 10 and 12 club leagues to suit local requirements. Barnstaple overcame Tonbridge Juddian by 31-30 to win a place in National 2 South - joining SW rivals Exmouth in moving from National 3 South West. 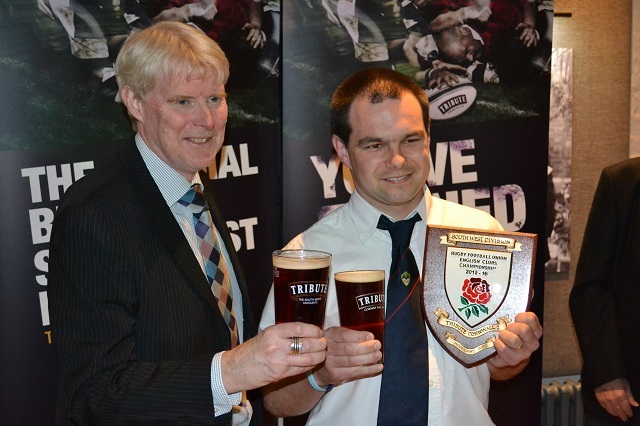 There were also play-off wins for Salisbury, Midsomer Norton and Cirencester. Meanwhile the final play-off fixture has been decided with Kingsbridge entertaining Keynsham on Saturday 7th for a place at level six. After missing out in the playoffs last season, Exmouth have clinched the National Three SW championship and promotion to National League 2 with a 38-24 win over title rivals Barnstaple. A crowd of over 1,000 saw a tightly fought game with the winners only becoming clear in the final stages as the Cockles scored a breakaway try to seal the tie. Barnstaple still have a route to qualify for promotion as they travel to Tonbridge Juddian for the Level 5 playoff next Saturday (30th April). The officers and committee of the South West sent their congratulations to Exmouth and good luck to Barnstaple for next weekend. Clubs involved will receive full details and a match card in the next few days.